Domain has been secured. Shortly this site will become the primary place to learn about iGeigie development as well as to find out about releases and limited editions that are available to purchase. does it use a geiger-muller tube? congrats on an important product and effort. 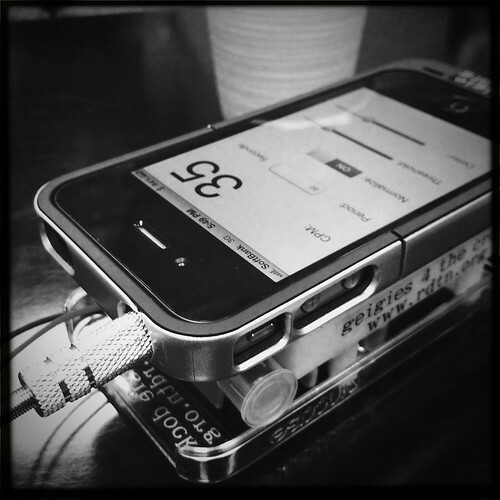 So, this looks like a great tool..a cell phone that can assist in radiation readings? Bring it on! If you need monitoring help in Portland, let me know! I’m in Portland, OR and concerned about elevated radiation readings here (how to monitor them), as well as how to monitor so called “Hot Particles” that can lodge in soft tissue according to Dr. Arnold Gunderson. I hope everyone has found Dr. Arnold Gunderson..his videos on what’s happening in Fukushima and the nuclear industry in general, are fascinating! See his website @ the link I’m posting.